The NABCEP PV Installation Professional Exam is the gold standard certification exam for PV professionals and is famously difficult to pass. This book will provide test-taking strategy that can be used to most effectively study for and pass the exam. Code and theory is explained in the first half and will prove as useful background for the heart of the book which consists of practice exam questions and detailed explanations of the answers. It also contains essential strategy tools, short term memory tips and recommended reading which will be invaluable for anyone studying for the exam. 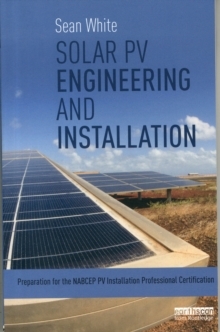 The material in this book is not limited to those taking the exam as it will also be, more broadly, important for career progression and helping the reader to work safely with code compliant PV systems.